The best senior portrait experience in North Texas. Every senior session is not only about the photos, but the time leading up to your session with guidance in clothing selections, hair & makeup, locations. Then instructing you during your session for the most flattering and natural poses. We follow up your session with a premier ordering & viewing appointment to help you select your favorite images for your products and art pieces. Most of my sessions are in the North Texas and DFW area, but love to travel and willing to do destination session or travel to you. Schedule as far in advance as possible. If you are wanting a weekend, they fill quickly. If you are flexible in your schedule, last-minute sessions are always possible. experiences of your senior year, or you just want to be in the yearbook. A few weeks after your session, you will visit our studio, where we will show you your best images and help you decide the on your favorites. We will also help you decide the best ways to showcase your portraits with a large variety of products. When choosing your clothes, keep in mind you’ll want to bring as much variety as possible. We encourage you to bring a lot of clothes. You may not use all, but together, we will choose the clothes that go best with the backgrounds and props you like. All Terri Cage Seniors get a what-to-wear guide and a pre-session consult to discuss fashion. Do not give into inferior quality photography or service when Terri Cage Photography can deliver a lifetime of memories with affordable pricing to compliment them. We can meet your scheduling and pricing needs with surprising ease. We offer on-location sessions. Give us a call and you’ll notice something right away: we listen. Your senior portrait session is waiting. Your senior session is a true milestone and we make the most out of your experience by making it memorable. We offer pre-consults with every session so you are fully prepared for your session. We like to know what you want and a little about your style and likes so that your session is fully unique to you. Style and fashion are not the only ways to to make your session all about you. We want you to be able to look at your portraits years after you graduate and bring make memories of your high school years. 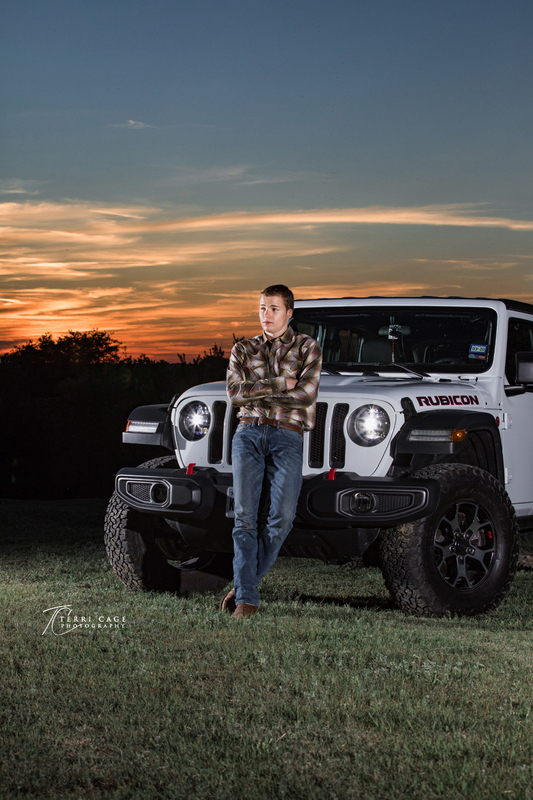 DFW Senior portrait photographer based in Ponder Texas. nAvailable, ot only to the Dallas/ Fort Worth but covers most of the North Texas area and will travel to other destinations.